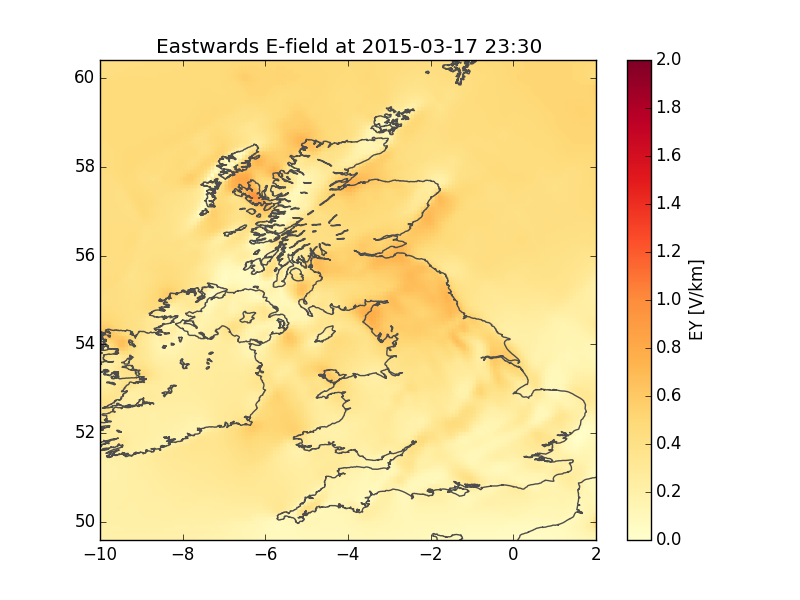 Rapid variations of the geomagnetic field, caused by space weather, produce an electric field in the Earth's surface. This electric field is the source of electrical currents - called Geomagnetically Induced Currents or GIC - that can, for example, cause damage to transformers in the power grid and cause corrosion to pipelines. 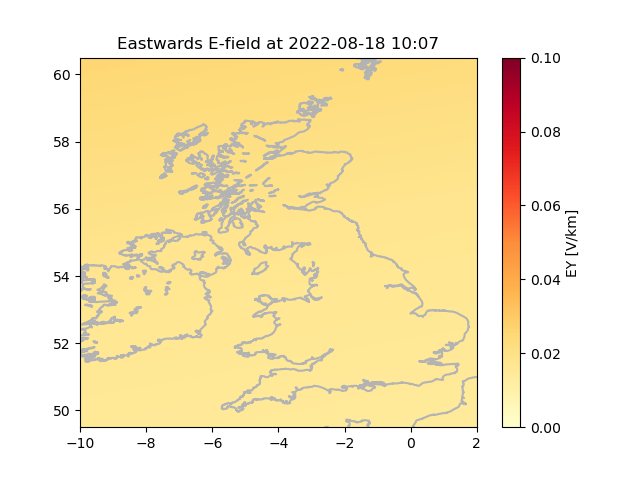 At BGS we monitor the geomagnetic field to provide near-real-time information about GIC and the risk to ground based technology. The BGIC index is a measure of geomagnetic activity designed indicate the level of GIC in the power grid. 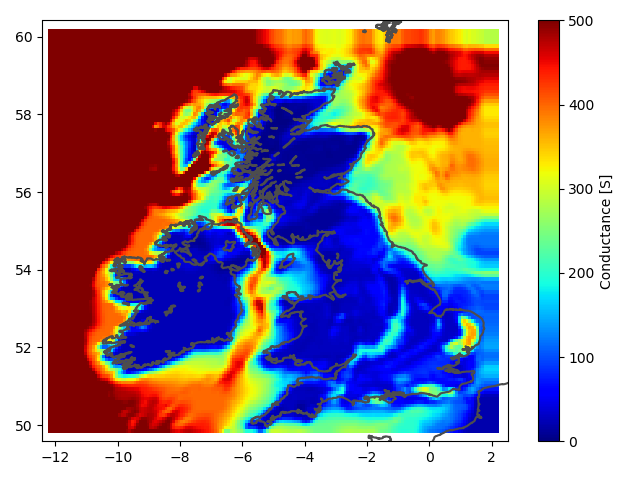 The horizontal dashed lines show the equivalent levels of the NOAA G-scales but extended beyond G5. 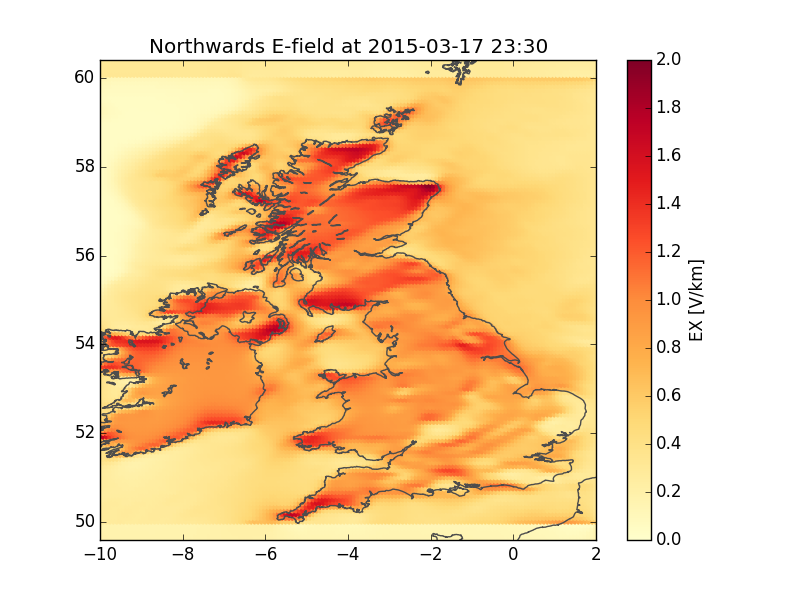 The plots below show the magnitude of the most recent modelled electric field in the UK. Northwards field (Click to enlarge). This electric field is calculated every 15 minutes from a computer model. 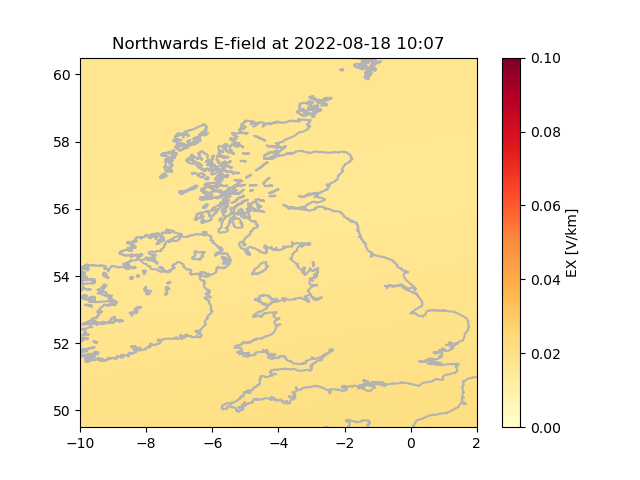 The magnetic field variations measured at the 3 UK magnetic observatories are combined with a model of the surface conductance across the UK (based on the geology - see map) to calculate the electric field on a 10km grid.